PA chairman urges President-elect Trump to rethink moving the embassy to Jerusalem. Palestinian Authority (PA) chairman Mahmoud Abbas on Wednesday promised a “diplomatic response” if U.S. President-elect Donald Trump moves the embassy in Israel to Jerusalem. Speaking at a press conference in Bethlehem, Abbas called on Trump not to move the embassy to Jerusalem, warning that there would be a “political and diplomatic” response to such a move. He did not elaborate. Abbas also called on Trump to promote peace in the region and expressed his willingness to meet with Trump. The PA chairman said there is a need to establish an international mechanism and a set schedule to realize a comprehensive peace based on the resolutions of international institutions, UN Security Council Resolution 2334 and the two-state solution within the pre-1967 borders. He also claimed that the year 2017 is the last chance to discuss and work towards the implementation of the two-state solution in order to reach a peace agreement with the "Israeli entity". 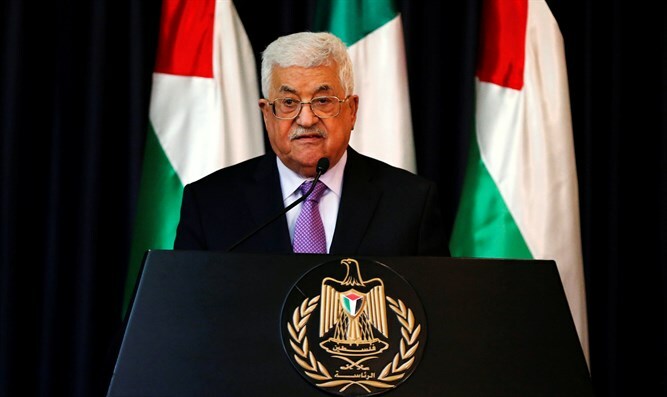 Abbas said that this opportunity must not be missed and called on all the countries that have not yet recognized the “state of Palestine” to do so. The PA chairman has in recent weeks warned several times against moving the embassy to Jerusalem. On Tuesday he told Trump that moving the embassy would be a “provocation that would harm the peace process”. Two weeks ago, Abbas wrote Trump a letter in which he warned the President-elect against moving the American embassy, saying that such a move would be crossing a "red line" and could jeopardize peace prospects. And, last Friday, he appealed to Russian President Vladimir Putin and asked him to intervene in order to stop the United States from moving its embassy to Jerusalem.